Founded in 1915, Kiwanis International is a global organization of clubs and members dedicated to serving the children of the world. 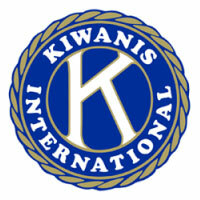 Kiwanis and its family of clubs, including Circle K International for university students, Key Club for students age 14–18, Builders Club for students age 11–14, Kiwanis Kids for students age 6–12 and Aktion Club for adults living with disabilities, annually dedicate more than 18 million service hours to strengthen communities and serve children. The Kiwanis International family comprises nearly 600,000 adult and youth members in 80 countries and geographic areas. Each year Kiwanis hosts their annual member convention to celebrate the impact of their members and service projects. In 2015 they celebrated their 100th anniversary at the home of Kiwanis International Offices in Indianapolis, Indiana. This amazing 4-day event brought all Kiwanis’ family of clubs together with nearly 10,000 members attending, representing Kiwanis, Aktion Club, Circle K and Key Club. Beyond the convention center expo, Kiwanis also had a variety of individual events around the city including their signature Pancake Breakfast hosted on Indianapolis’ Monument Circle, where they gave away nearly 12,000 free pancakes, but also collected more than $6,000 in donations to go toward Kiwanis’ world service initiative, The Eliminate Project. Opening session featured a Sister Sledge concert (We are Family) in honor of the Kiwanis family of clubs. And during their four days in Indianapolis, Circle K members alone donated 5,000 hours of service to help Indianapolis nonprofits. Kiwanis International employs a full time Meetings and Conventions team which, along with a myriad of other duties, contracts and works with the chosen venue to secure appropriate space for each upcoming convention event. These convention sites are planned and secured at least two years in advance. As each event nears, the Kiwanis communications team, made up of designers, writers, production and marketing professionals begin working with the Meetings and Conventions staff to plan for the needs for each convention. As they began to plan for this anniversary event, the Meetings and Conventions team had ongoing meetings with the Marketing and Communications team which included production leader Gary Ransburg, Project & Production Manager at Kiwanis International. With so many activities, there were many moving parts. To start, Gary and Kiwanis knew they needed to produce thousands of pieces across multiple events, attendee types and from varying groups including: Service leadership, Growth and Education, Kiwanis Magazine and PR, IT and The Kiwanis International Foundation. Initially the Kiwanis communications team met with all of these groups to determine the message they wanted “Kiwanians” to come away with and to submit their print communications needs. Kiwanis then started down the path of finding a reliable print communications partner to meet the following challenges they foresaw with producing the event. Kiwanis knew there would be tight deadlines and changes leading up to the event, so they needed a flexible print partner to stay on top of orders and keep them updated on progress. With multiple attendees and events they needed a partner to carry out the production of a unified look and feel with all print and signage across many events, yet differentiated by group. With 10,000 attendees, Kiwanis knew print volume, transportation, and assembly were critical and they needed a partner that could help with and offer ideas around production and delivery needs. Kiwanis also wanted a partner that had a unique mindset in both approach and delivery, in order to make this centennial event special. As this event was the 100th anniversary, the production team had high expectations for making it exactly right, and as seamless as possible for the attendees. In addition, they wanted the added benefit of having a “proven” partner they had worked with before, so nothing was left to chance. Fineline was one of those proven print communications partners. “Kiwanis has worked with Fineline for many years so we understand the depth of their various capabilities and feel very comfortable that they are up to the task – personal service is certainly a big part of that. In fact, I didn’t even get a competitive bid from them because I knew what they were going to do anyway and that they are always fair," commented Gary. Kiwanis came to Fineline with a long list of items, to which Fineline had the technology, equipment, and staff to handle the volume. Fineline hosted a kick-off meeting with Kiwanis to talk through details and make recommendations based on event goals. Coordinating their production timetable based on the logistics of two 53-foot semis full of event items. Nearly one-hundred 4-foot x 8-foot Ultraboard panels printed with full coverage UV ink, ready and delivered on the requested day. Many vinyl banners, banner stands, display bases and signage of various types. Several skids of programs -printed and delivered for all three conventions. A speaker’s name had been misspelled on a meeting room sign that Fineline had not initially printed. A Kiwanis designer edited the art, and within a few hours Fineline printed the new piece and had it delivered and ready for display at the event location. Comfortably in advance of the need. A particular overhead sign had 4 different parts that were challenging because of its shape, unique construction and how it was to be hung. Fineline studied the design, formulated a production plan and was even at Lowes buying assembly items to make this successful. Kiwanis wanted ½ inch Ultraboard panels of life-size vintage photos from every decade of the past 100 years. Attendees could go around the convention center and take a photo as if they were in them. Fineline printed the boards and cut out the face holes, but the straight, sharp edges of the cut out areas proved to be a potential issue. Fineline ended up hand routering the inside edge of every face on each board to soften the 20 cutout areas. In all, Fineline came together as a production support, print communications consultant, and vested partner to Kiwanis’ success – in producing a much talked-about event of the century for its members. Kiwanis received overwhelmingly positive attendee feedback including how “impressed, blown away and enjoyable being at the 100th anniversary event was.” This also included comments from Kiwanis leadership on how well the visual brand aligned to goals, and the positive experience the Kiwanis organization provided to its members. - Gary Ransburg, Project & Production Manager at Kiwanis International.